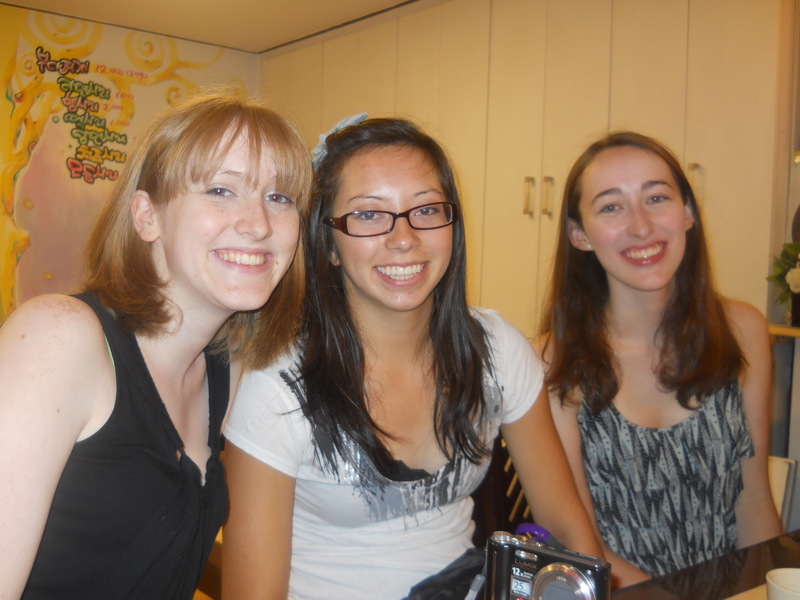 The first day at Sogang… wasn’t really the first day. We had to get tested for our levels at the Arupe Building. Audra and I left at like 10:30 in the morning and got to Sogang University super early… our test wasn’t until 1:40 p.m. So we walked around campus and explored Sogang University. 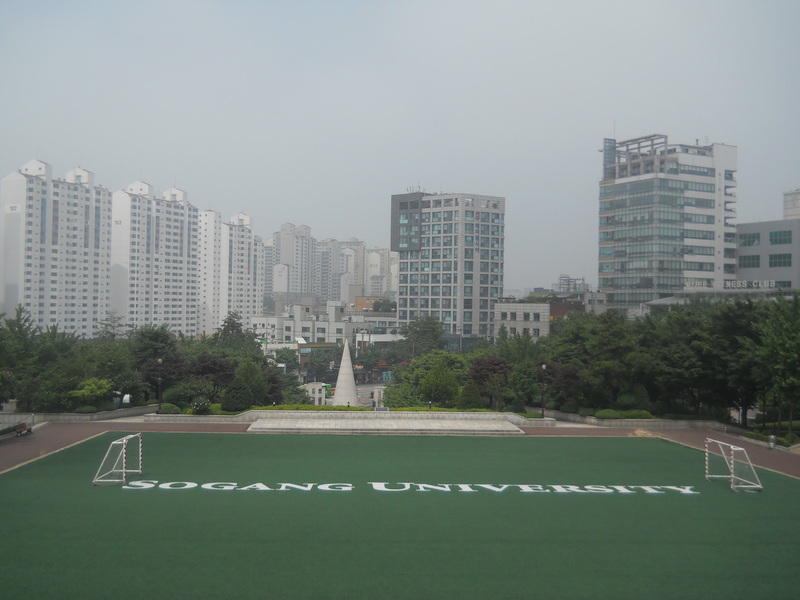 Sogang University is one of the top schools in Korea- ranked number 4 in the country right after the SKY schools. AND, Park Chan-Wook is an alumni of Sogang (omg… I was so excited to be at Sogang). 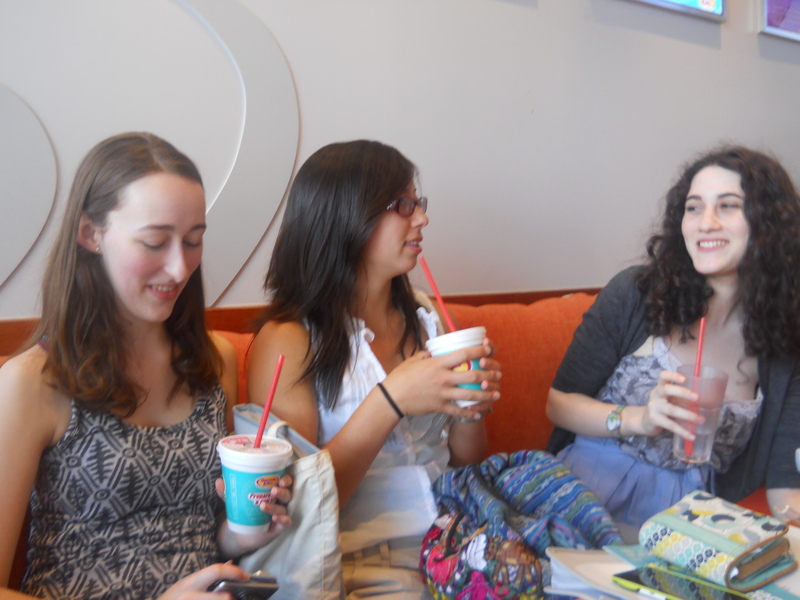 It wasn’t long before Shoshana showed up and we all decided to get some lunch before the exam. We backtracked and found this cheap restaurant. 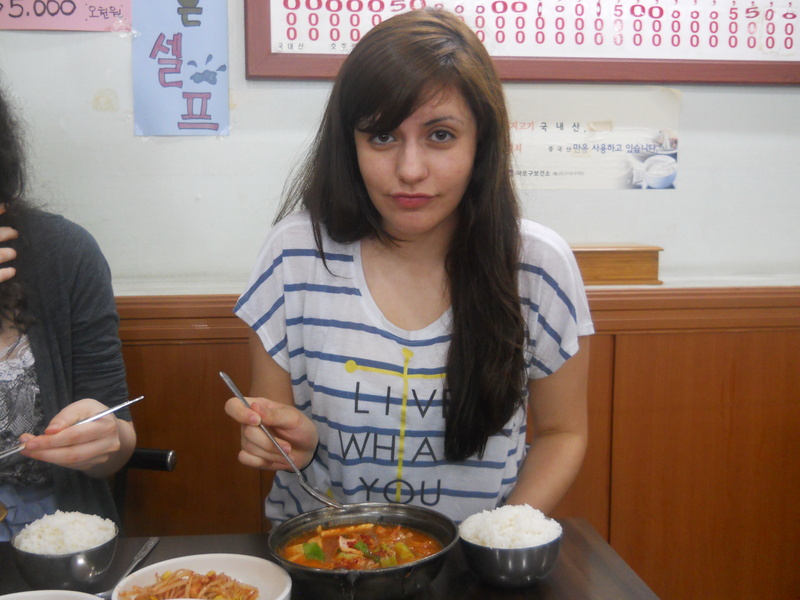 They ordered these spicy kimchi things and I ordered a simple bulgogi. The level test was fairly quick and before we knew it, we were dismissed. I was clearly a beginner- no doubt about it. A bunch of us wanted to find the cheap shopping area, as we later found out is called “Edae” (named after the fact that Ewha Women’s University is right there!). We knew that it was within walking distance, but we didn’t know that it was only 1 stop away from Sinchon (and that taking the subway would have been a much better option since the heat was sooooo unbearable!). And so we walked all the way to Edae… it took forever… and it was really hot. But thinking back, it was a nice opportunity to bond with some of my NSLI-Y peers. It was also in this first week that I went to a Naengmyeon place in Edae with some NSLI-Y friends for lunch. Yum. 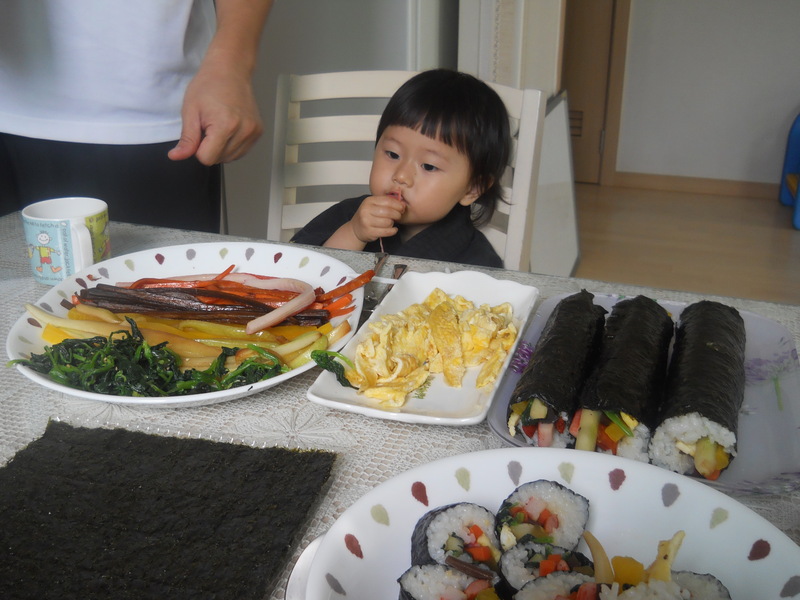 The first week ended with some kimbap making with my Korean family. My Korean parents decided to show Audra and me how to make kimbap. It was a wonderful bonding and learning experience. In all, the first week was a great week of building relationships with my NSLI-Y peers, my Korean family, Audra, and Sogang University- the school that I would be attending for the next 6 weeks.